Islamabad: In the budget 2018-19 speech delivered by the newly appoint Miftah Ismail, the government proposed the abolition of the fair market value rates notified by the Federal Board of Revenue back in 2016 and the DC rate implemented at the provincial level for the purpose of collecting Stamp Duty and Capital Value Tax, reported a news source. Declaration of property value by buyers and sellers in property transactions has also been proposed. 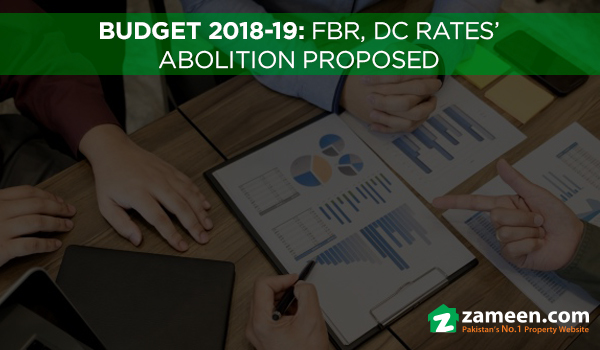 • The FBR may hold the right to purchase any property within six months of its registration by paying an amount that may be 100% higher than the declared value during the fiscal year 2018-19, 75% during 2019-20 and 50% in 2020-2021 and so on. • To make the above proposal effective, the provisions will be incorporated in the Income Tax Ordinance 2001, where detailed procedures and the date for these rules coming into effect be notified later. In addition to that, a proposal to reduce tax rates on dividends issued to the unit holders by Real Estate Investment Trust (REIT) from 12.5% to 7.5% was also presented.